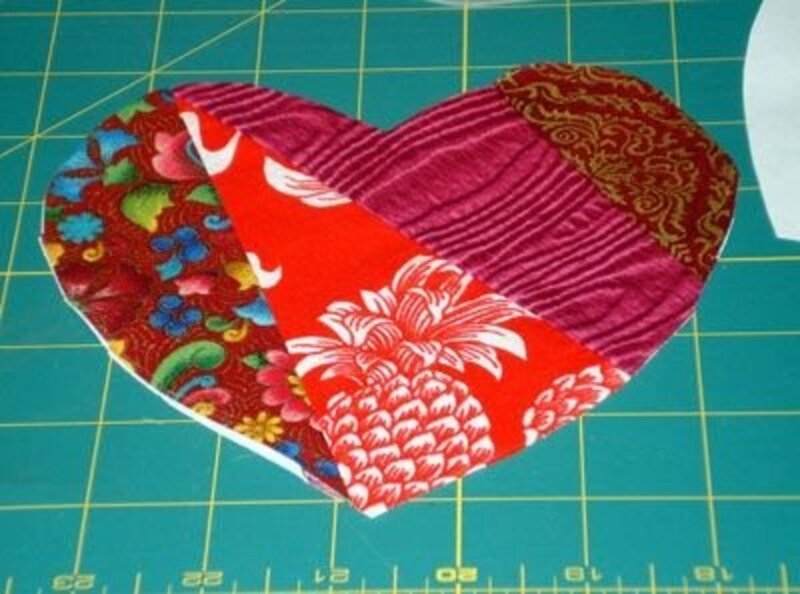 I love all the wonderful bright fabrics, all the different shapes, and best of all the embellishment on crazy quilts. 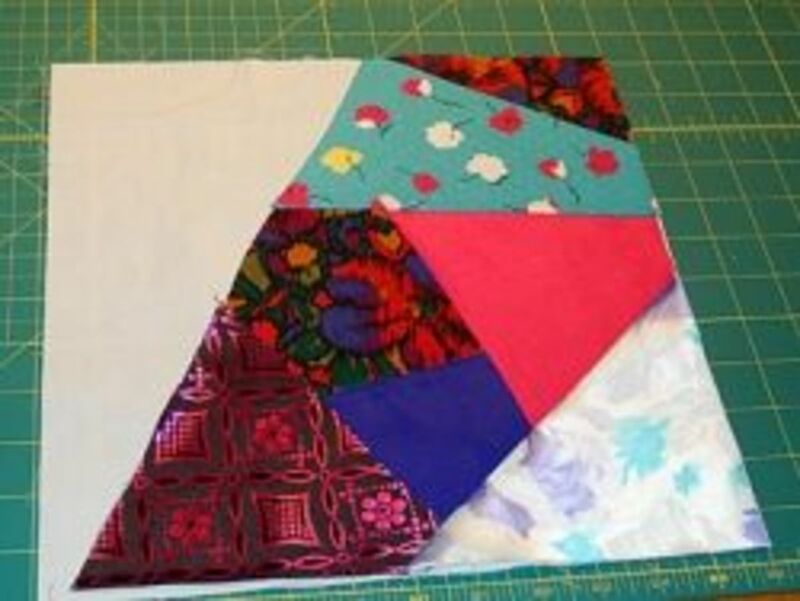 My very first attempt at patchwork was a crazy patchwork stole. I used to wear it around my hips (they were slimmer then so it fitted!) and clip it together with a large gold and turquoise brooch. It has a long black fringe on which I threaded sparkly beads here and there. A real gypsy piece! The block in the picture is what you will make. How Is Crazy Patchwork Made? Seamstresses would completely cover some not-so-good-fabric with scraps of velvet, satin, all sorts of 'good stuff'. Then they'd embellish all the seams with stitchery. This one was made by one of my students and it was embellished by machine. 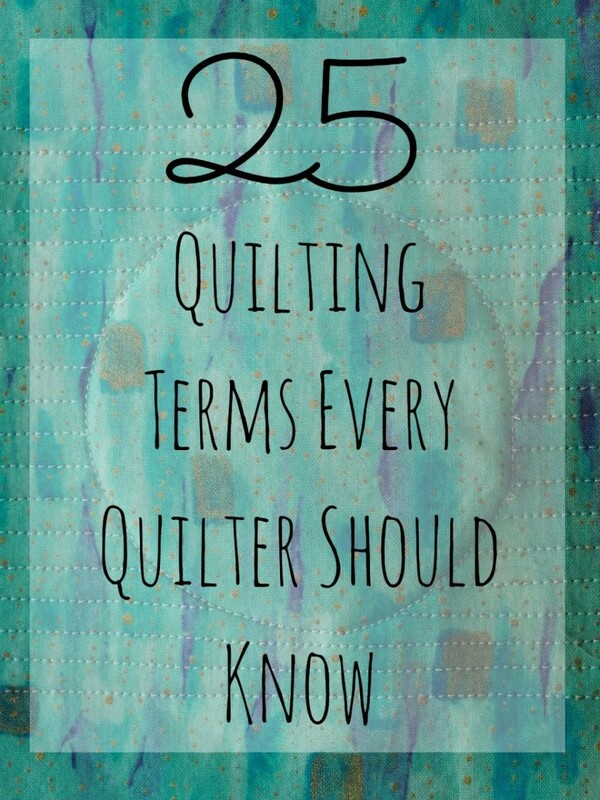 Many different books are available to help you learn more about this type of patchwork. Authors will suggest different ways of sewing the patches on. If you want to make a block by hand, then you just sew patches onto the backing fabric overlapping each one and appliqueing them down to hide the raw edges. 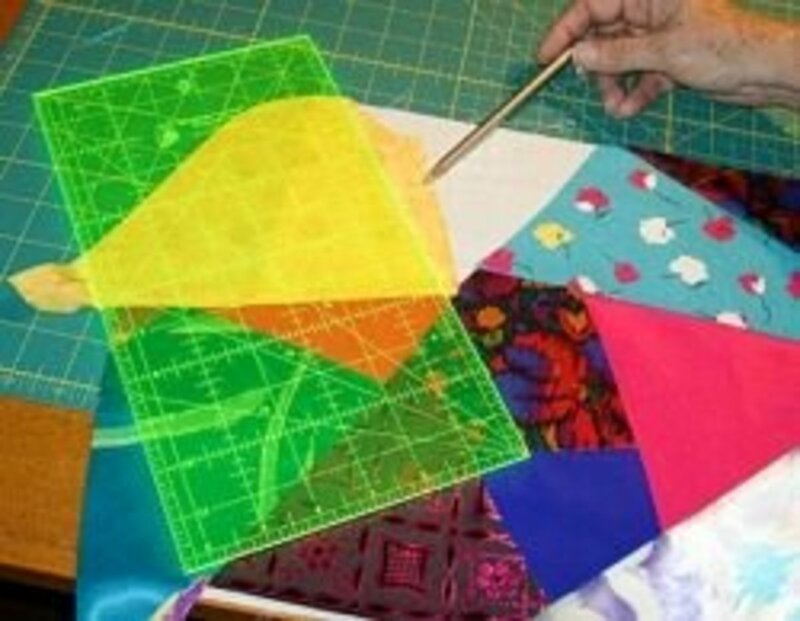 By machine, you sew two pieces onto the foundation/base, press and trim. Sew another patch on, press and trim. I'm going to show you my method for machine piecing the background. First collect all your bits and pieces together that you want to use in the piece. The fun aspect of crazy patch is the different textures and fabrics put together for contrast. 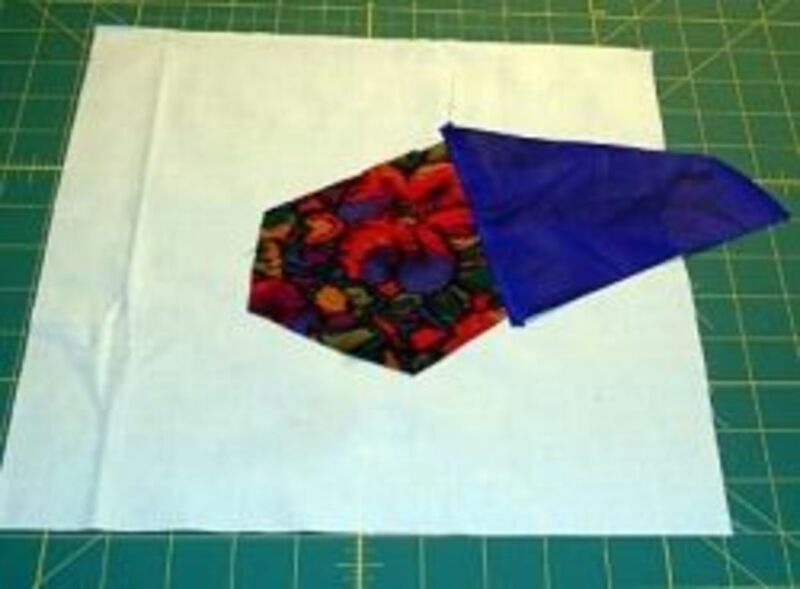 10 inch square of foundation or backing fabric. I like to use the lightest weight I can, and my favourite is pre-washed lawn. Scraps of many types and colours. Neutral coloured thread to join the patches together. 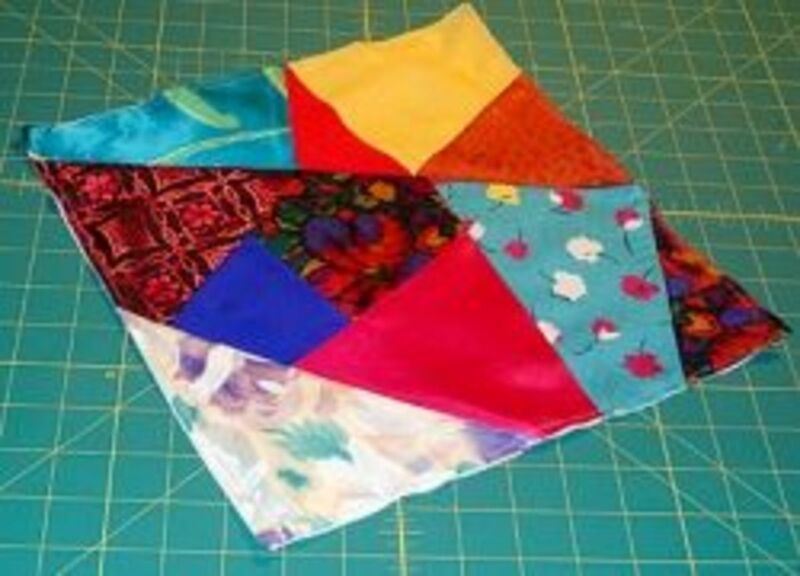 Start with one colourful fabric that you love the colours in. Find as many bits from your scraps that 'go' with it. Don't be too fussy about matching the colours, they will change when the embellishing happens. 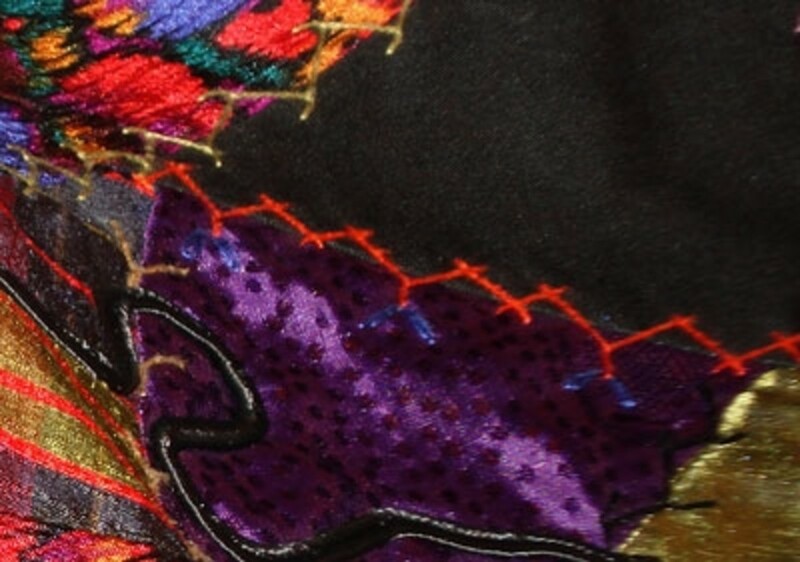 Find all the embroidery threads and other notions you have which could look great on the palette you have chosen. Cut the patches and the background fabric. This is the foundation for all the scraps to be sewn to. 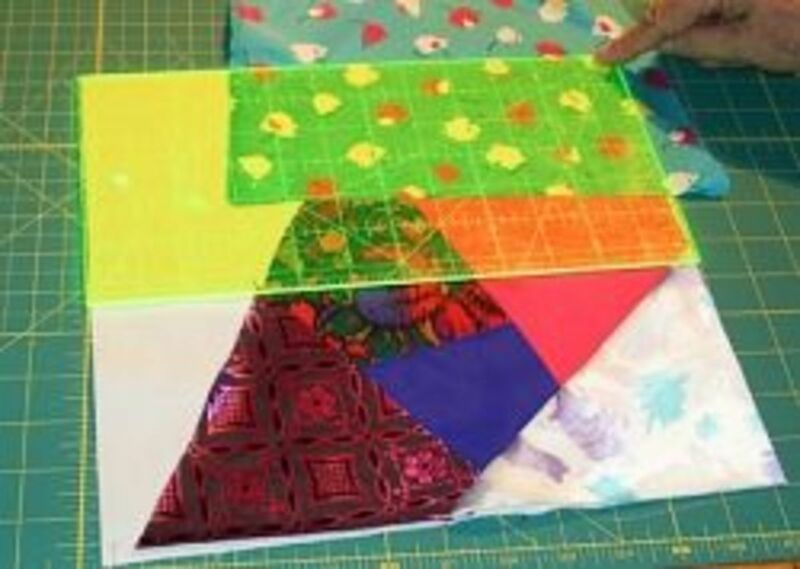 Decide on a size for the finished block and cut the foundation piece (from your lawn or other fine cotton or poly-cotton fabric) at least 2 inches bigger. If you want to get a 12-inch block, cut the foundation 14 inches; a six-inch block, 8 inches; and so on. 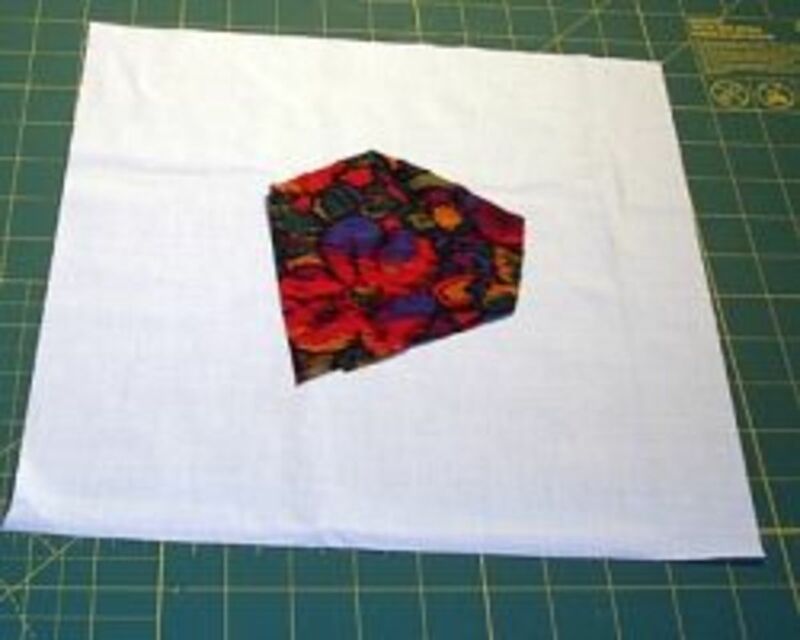 Cut a smallish piece of one of your chosen fabrics to start the block. I chose my multicoloured scrap, but it need not be the colourful fabric, just a starter patch. 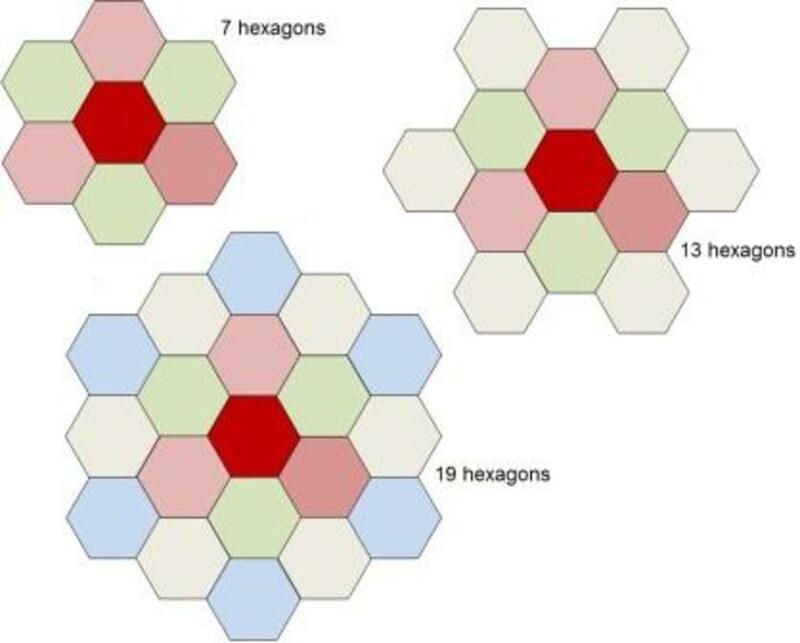 It needs to have an uneven number of sides, and all the angles should be irregular. The idea is to use a shape that's 'crazy'. Position this piece somewhere near the centre of your lawn/muslin. 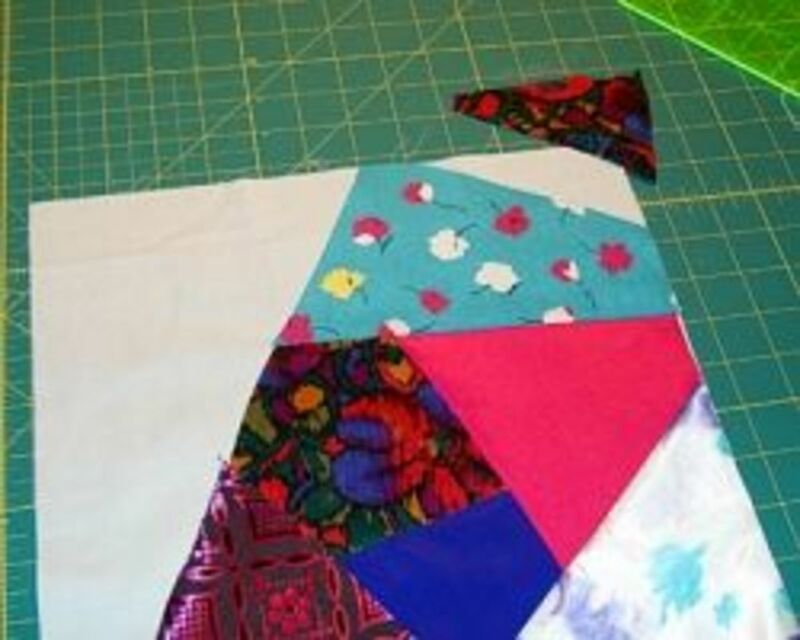 Select a piece from your pile of scraps that contrasts with the first patch. Cut a straight edge on one side to make sewing it to the next patch easier. 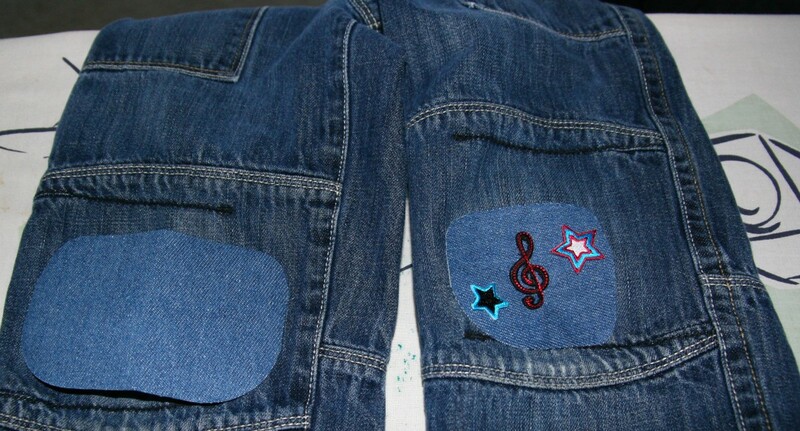 Sew the patches to the background. Lie the new patch right side down on the first patch. Align the straight edge with one of the centre patch's sides. 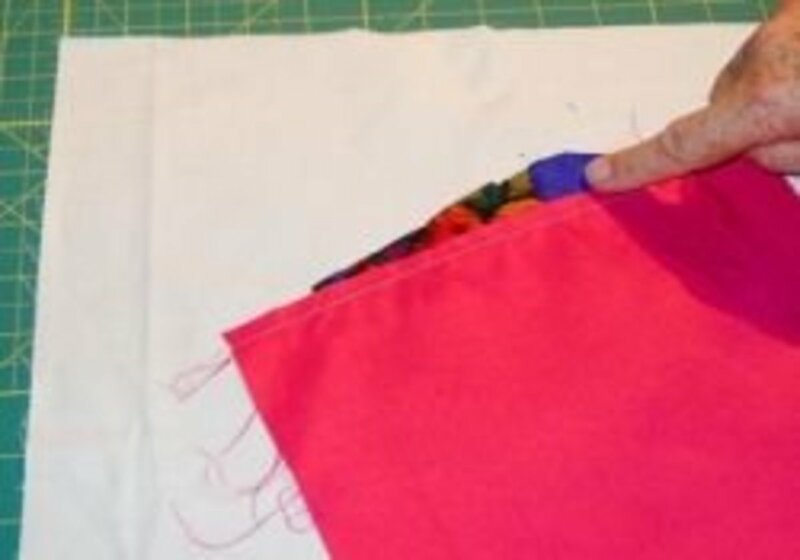 If you need to, pin at right angles to the seam to hold the pieces together while you sew. 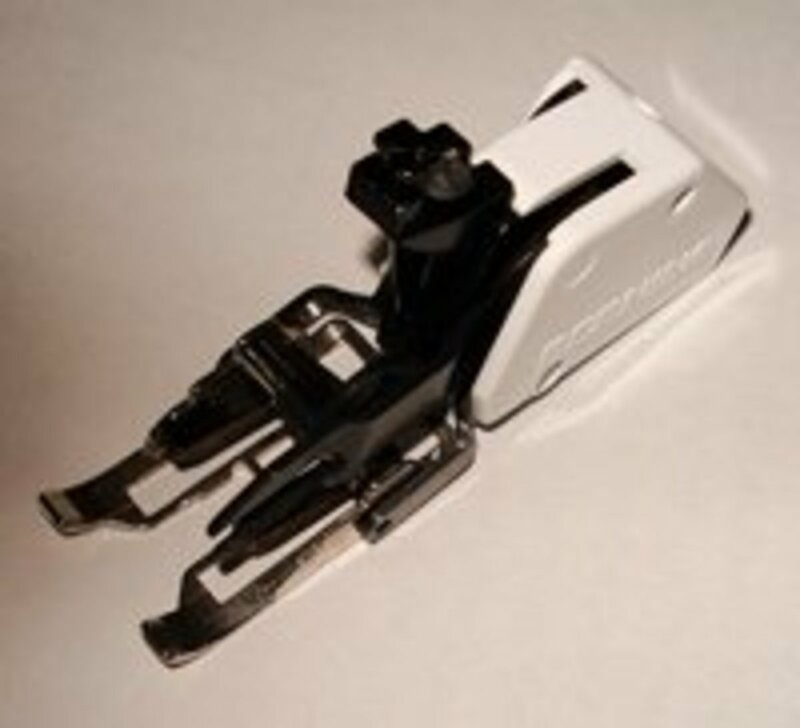 Starting just a tiny bit before the beginning, sew along the seam ¼ inch away from the raw edges, or use the side of your machine's presser foot to guide you. Sew to just a tiny bit after the end. Press the new piece away from the first patch. Pin down if it wants to 'ride' up. 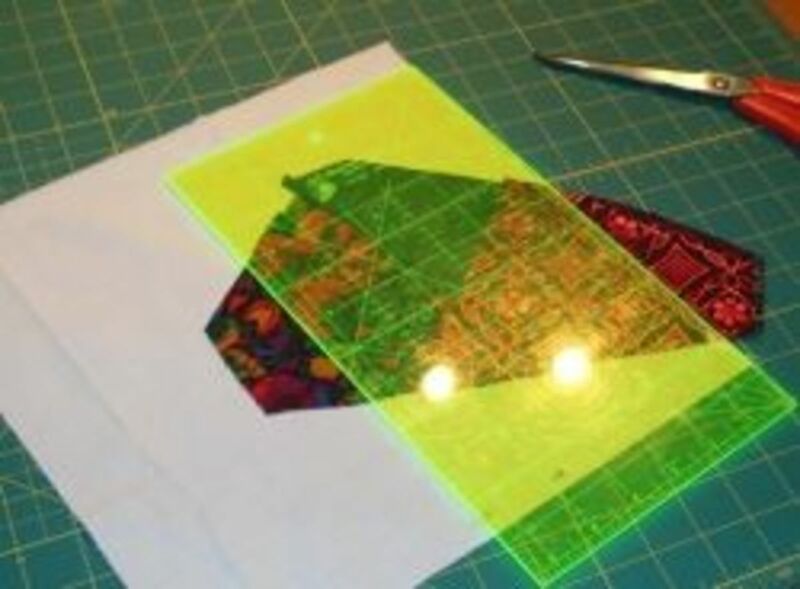 As you add patches, you will find that the edges are longer or the angles are not quite right, so each time you add a patch you will have to make some 'adjustments'. When you have finished pressing the patch that you sewed to the centre, lie a ruler along the sides to see if you need to trim the edges to make a continuous line. Using a chalk liner, or a pencil that contrasts with the fabric (so you can see the line), cut the crazy fabrics only along this line. This is so you can easily sew on the next patch. Cut the excess fabric from the last patch sewn to whatever size you like, ready for the next patch of scrap fabric. 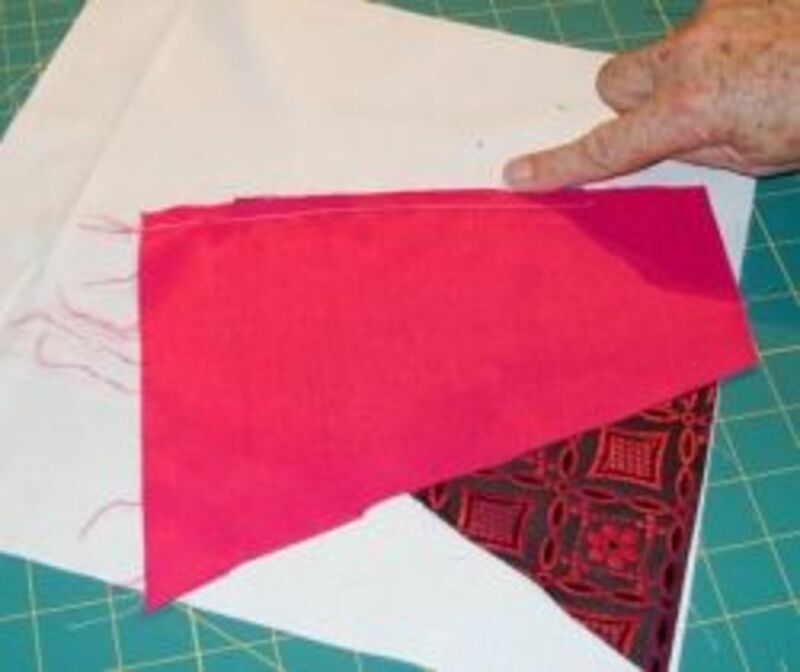 With right sides together, lie the straight edge along any straight edge you made after sewing the second piece on. Sew as before. Press away from the patches underneath, usually towards the edge of the block. When a patch reaches the edge of the background, you can trim it to that edge, or reduce its size. Line up the ruler with the edge of the block, cut off the excess. 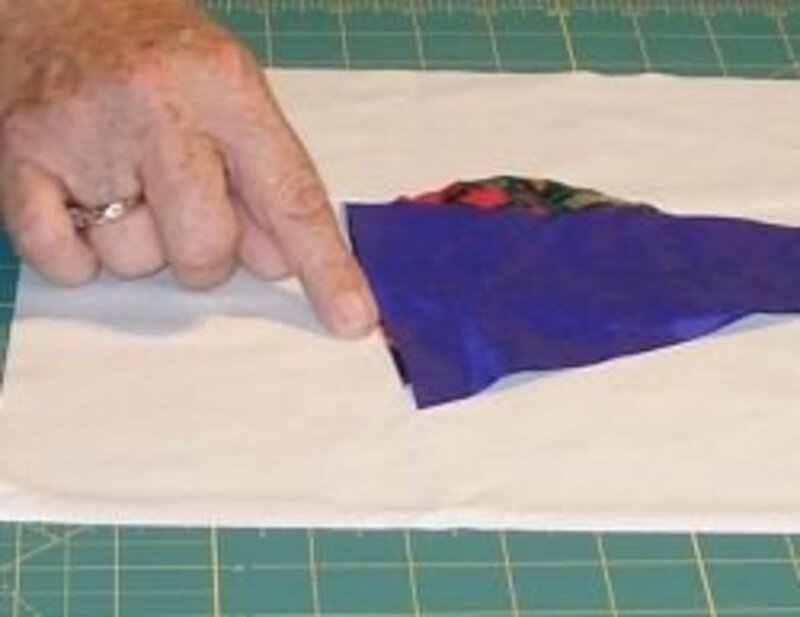 Cut off the excess fabric to fit the foundation. Press and trim as you go. 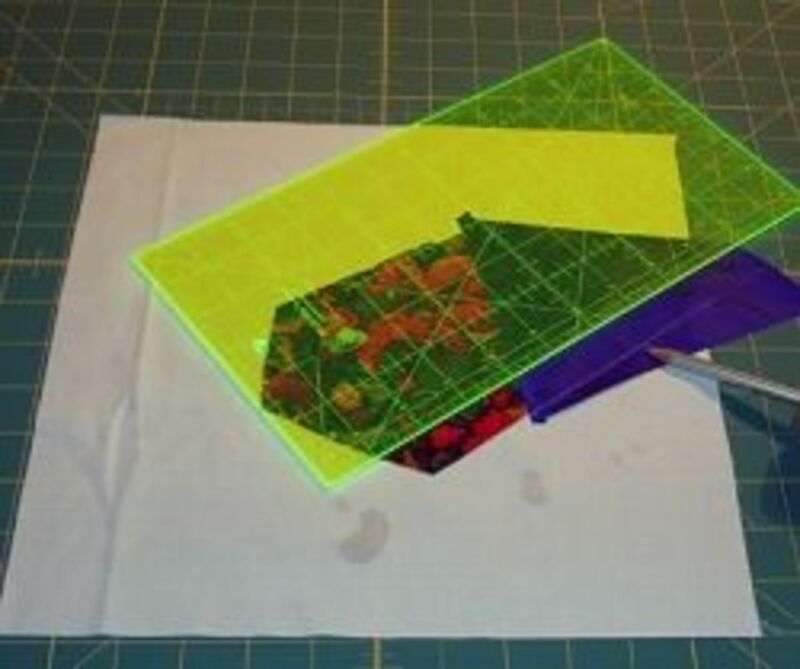 When you have some of the edges and corners covered, place your ruler along one edge and trim. This patch is too big for the edge, so it needs trimming ready for another patch on the corner. 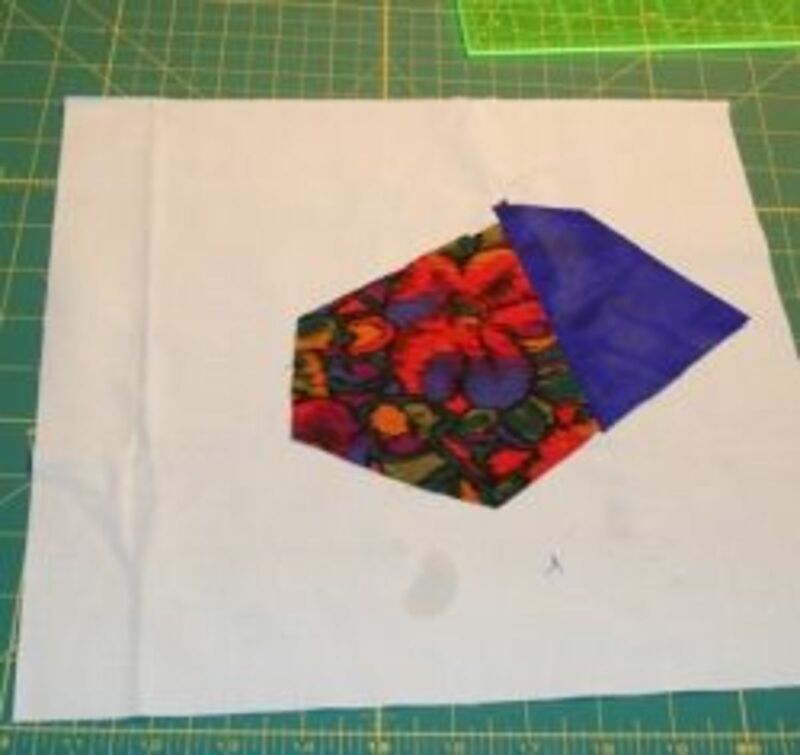 Cut the patch down with your scissors, so that there is a smaller triangular area on the corner. You will need to cut the other side of this patch to get a straight line. The edge of the ruler in the picture shows where the cuts will be. The triangle will cover the corner of the foundation. Choose a scrap that is a bit bigger than you think it needs to be. 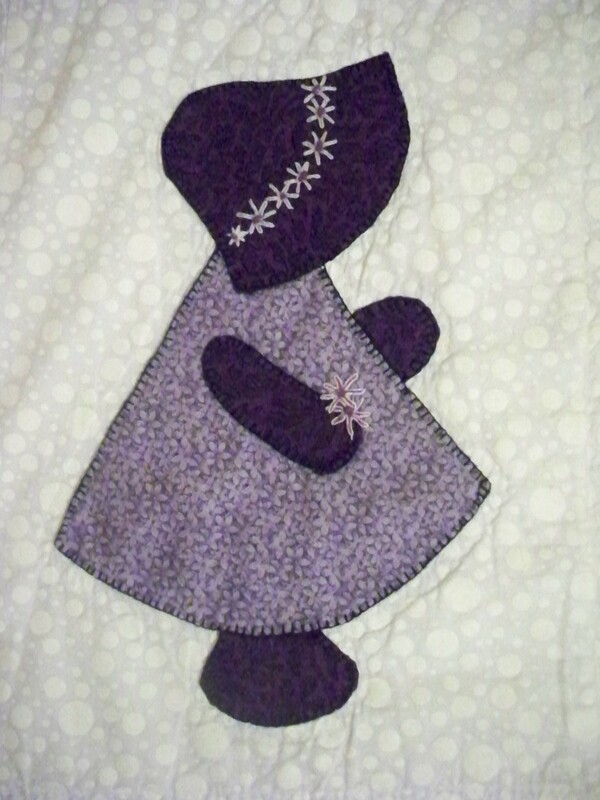 Sew with right sides together and press as before. Trim it to the foundation fabric. Now, how are we to cover that big space? At some stage, you'll have a large empty space to fill and need to piece together some scraps to make a crazy fabric to fit that area. 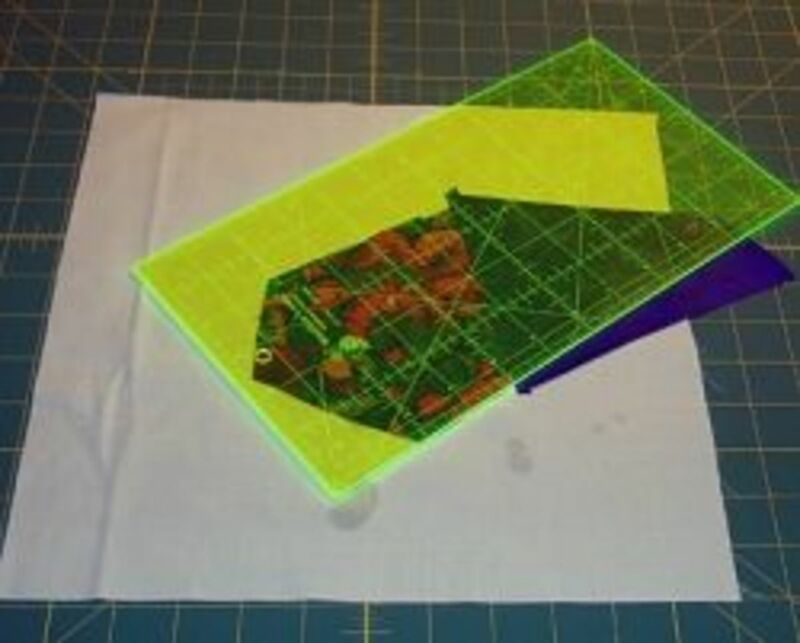 Join scraps in a random way until the 'fabric' is larger and roughly the shape of the area you need to cover. 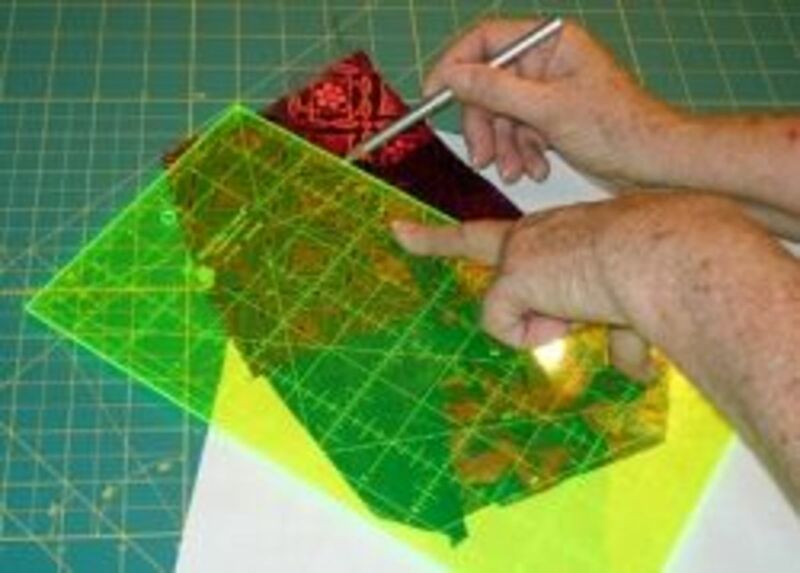 On one side of the sewn-together patches, mark a cutting line so that the edge is straight when cut. Sew to the foundation, press towards the edge of the foundation. Trim to the edge. Straight stitch around the edge to stabilise the block until you have decorated it. Dealing with problems that can arise. 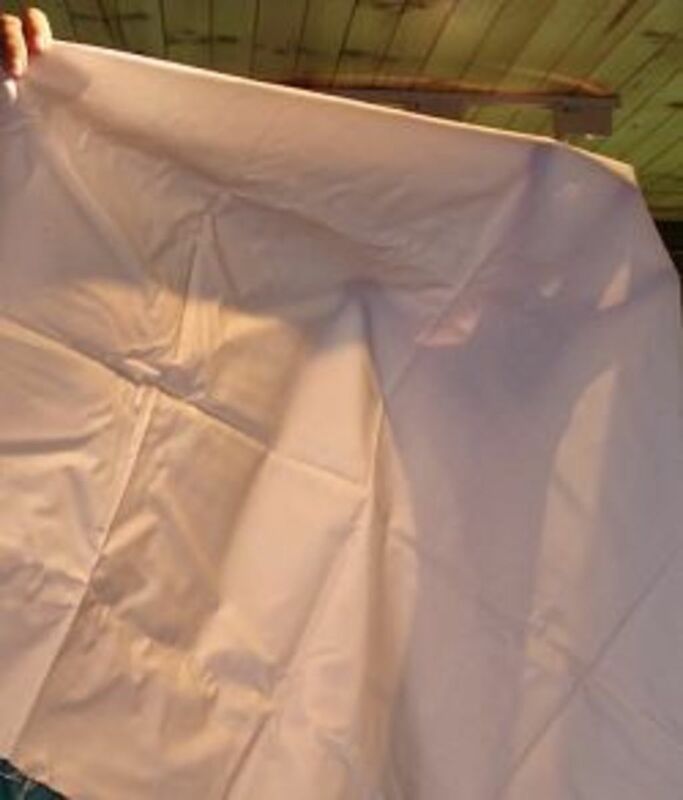 Sometimes when you lie the next patch on top, you see that the underneath seam isn't straight enough. 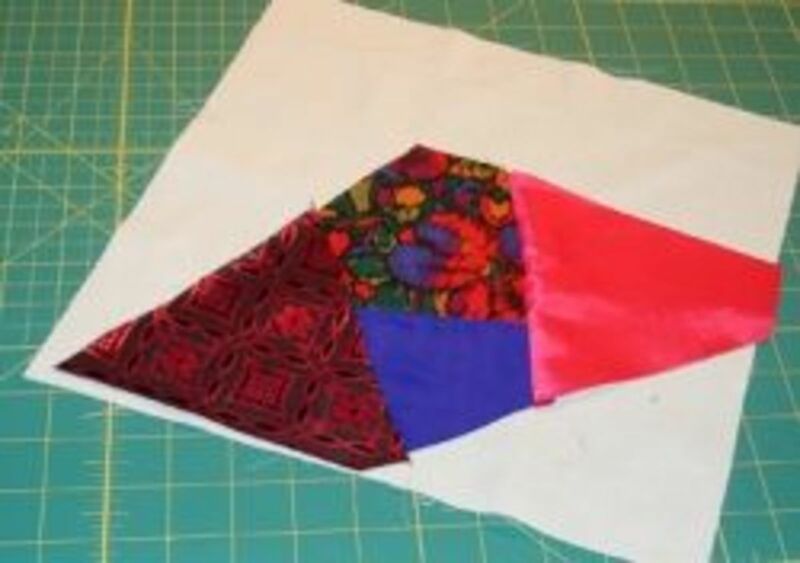 Cut a straight side to place against the already pieced area, sew to the existing patches. Press out to the edge, trim away the excess. Trim level with the block's edge. 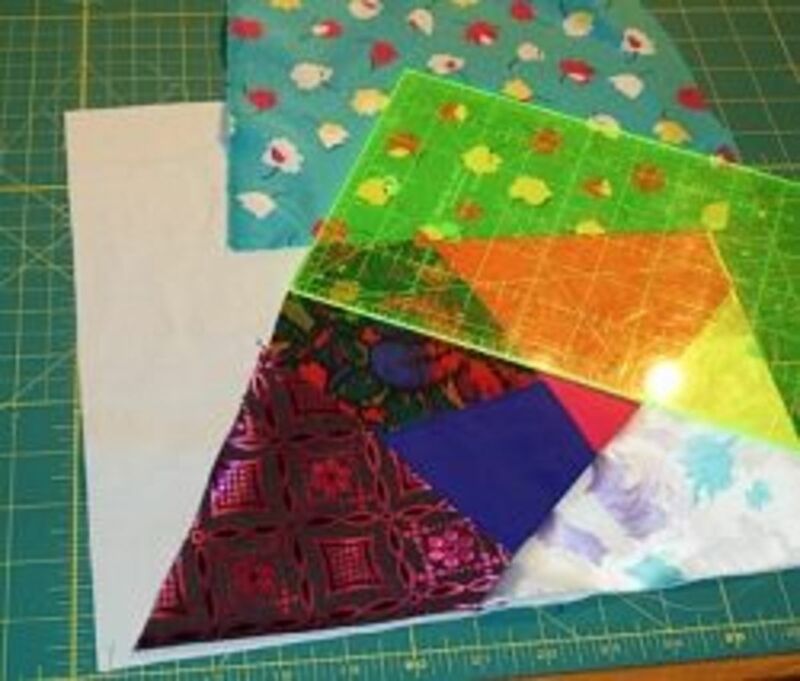 When you make a crazy patchwork block, you start with a foundation shape and cover it — either by machine or by hand — with many patches of fabric until the backing is no longer showing. 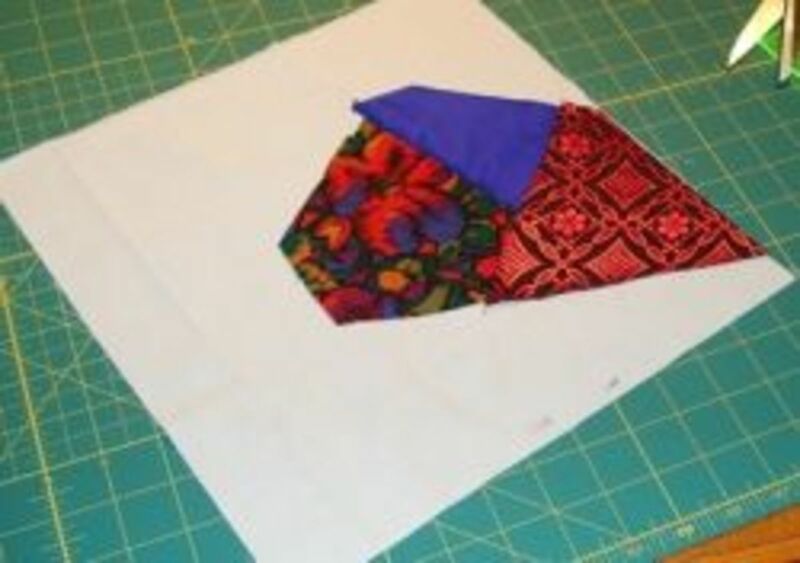 How do you finish a crazy patch block for a quilt? Do you add batting? These blocks are not usually quilted. They are tied after lining the top as though you were making a pillowcase. How did you find the lesson? 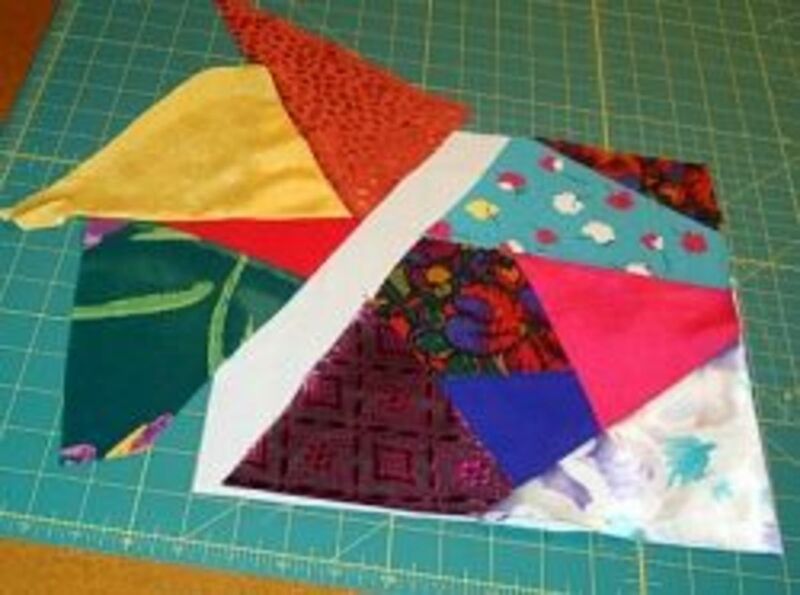 This is the BEST explanation I have ever seen on HOW to make a crazy quilt block!..thank you SO much! 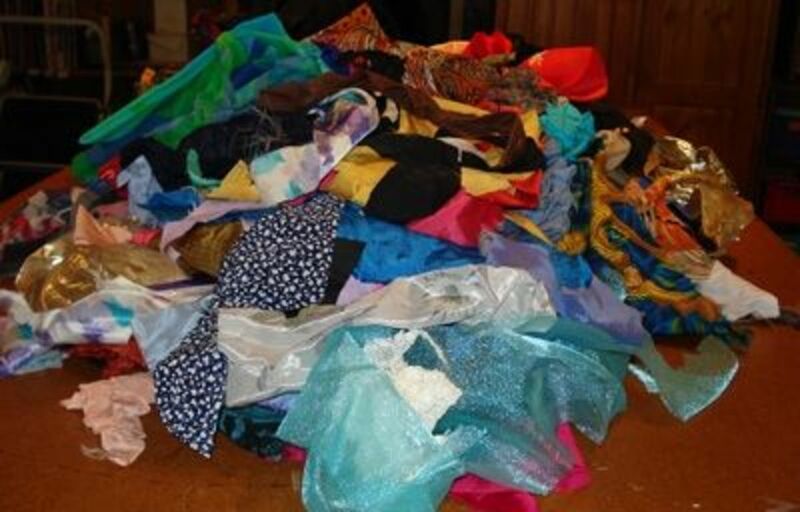 What kind of sewing machine needle will sew on all these different types of fabrics? @anonymous: Thanks for your comment. What happens if you draw first is that you are then going by a pattern, and the block won't evolve freely. Another excellent quilting lens of yours. Angel blessings. 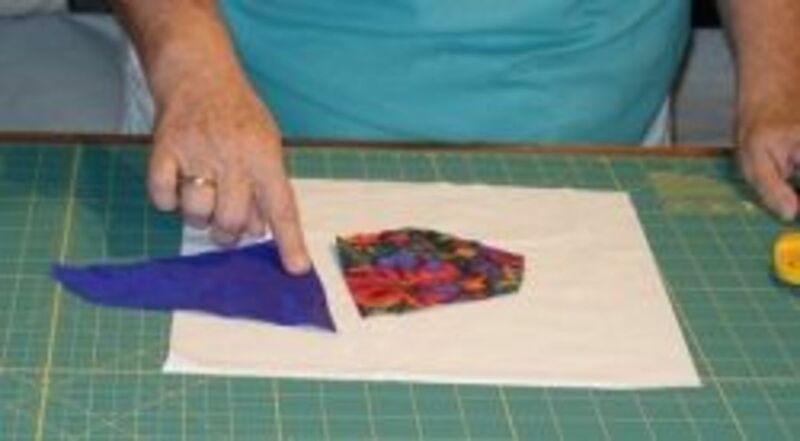 What a great technique for making quilts. Looks like fabulous fun! 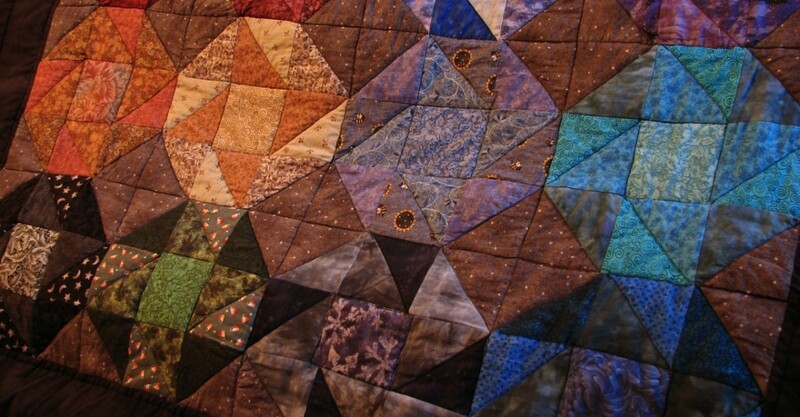 Makes me want to try my hand at quilting again. @marsha32: Glad you are enjoying the lenses, Marsha. Crazy patch is really free, so give it a go. oh wow....I could go crazy looking at all of your quilting lenses! I love to quilt. I won't ever be more than just a beginner, but love it all the same. 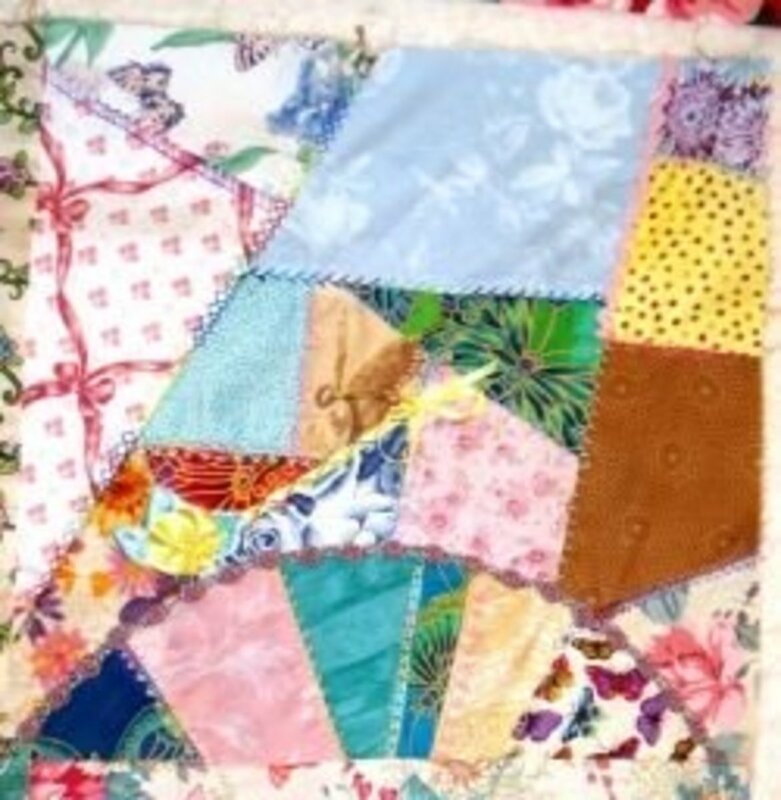 I am so wanting to do a crazy quilt with scraps. I've been saving some in a bag for awhile now. 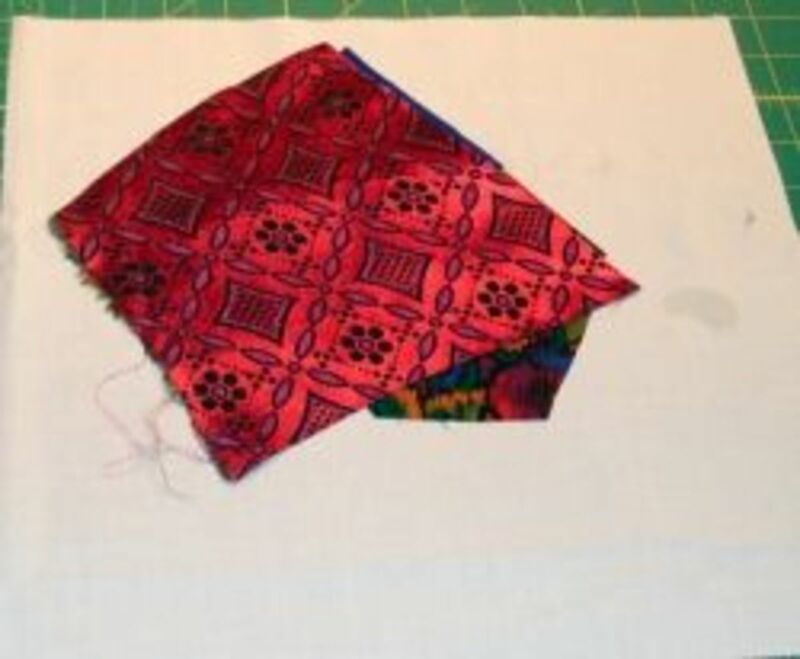 Smaller scraps do go into a pillowcase that once full enough will be sewn and donated to the animal shelter for a dog bed. Came back to bless this lens. Great instructions and pictures that anyone can follow. Thanks! @Ann Hinds: Glad you liked them both. Have fun with your crazies! @ElizabethJeanAl: Let's see it when you're done? Thanks for dropping in. @Bemused in Tasm: Start with one block. That's a good plan! Thanks for visiting. I like this so much I added it to my lens. I also added the embellished one as well. My lens is for me so I have all the information I want in one place. Great job, easy to read and very clear steps that leave me with no questions to ask. Very well explained! 5* and Blessed. I've gotten lazy, doing mostly standard blocks. 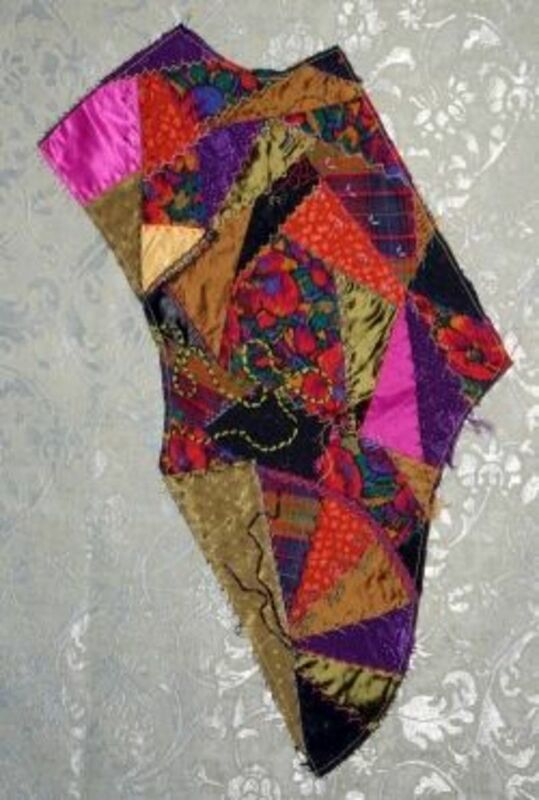 I haven't made a crazy quilt in a long time. It would be fun to do one again.